Red Green's advise to all mortal men. If you keep your mouth shut you don't have to look foolish either. 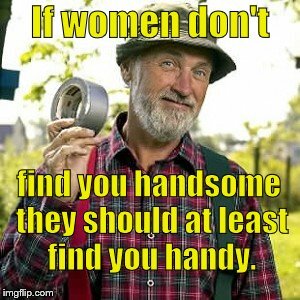 If women don't; find you handsome they should at least find you handy.